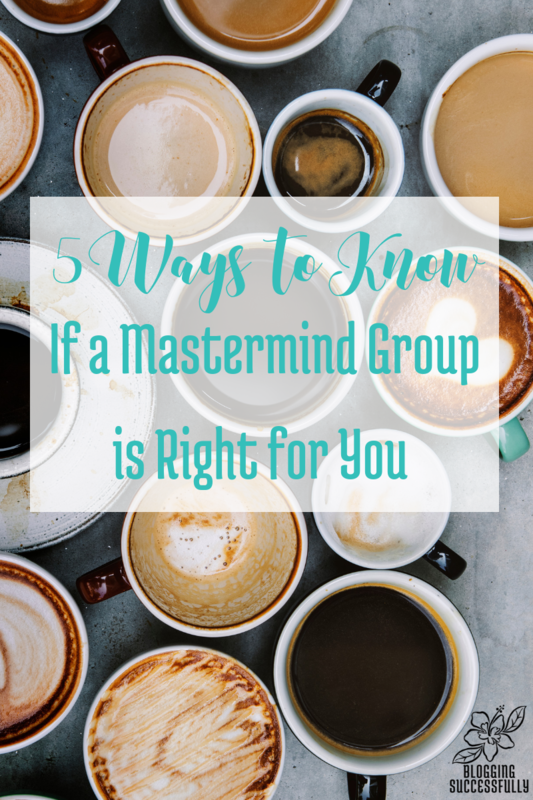 A mastermind group is a fancy term for a group of people with a common goal that meet (in person, on the phone, via Skype, chatrooms, meeting software, etc.) to share and learn to improve what they do. Think of it as a show and tell (and ask) for highly motivated people who want to get things done. When you talk to others about what you want to do or what your goals are, you are far more likely to achieve them. Just imagine sharing your goals with a group each week and how much more you would want to accomplish because of it. Maybe it’s because we don’t want to let others in the group down. Or, maybe it’s because we don’t want to seem lazy in front of them. It could even be a subconscious thing. Whatever it is, talking to others about what you want to do will help you achieve success. Do you respect the mastermind leader? If you become like the 5 people you spend the most time with, you want to be sure the mastermind leader and the people they're attracting to the mastermind are people you respect. Think about what character qualities you admire in a business leader and then look for a group whose leader (at least) exemplifies those qualities. Does the group meet weekly? If you're committed to your own personal growth and that of your business then you need to be willing to commit (yes I used that word) to meeting regularly with your peer group. Let's face it, most of us put things off til the last minute, so meeting once a month means you'll put off the work and goals til the day before you have to report. This becomes a dreaded meeting and more of a chat than a true growing and accountability mastermind. It is my experience, and that of others I've talked with that you need regular weekly accountability with your core group of advisors, and cheerleaders to be successful. Make it a standing appointment, one you take seriously. Do the mastermind members come from different niches and backgrounds? The broader your mastermind members' experiences, the better the group is as a whole. When you're so close to your business you often can't see what is really going on. Sharing your business decisions with a group of various experience and expertise will allow you to get outside perspectives and wisdom that you might not have in a group where everyone is in the same line of work. Does the group share similar values? Again, If you become like the 5 people you spend the most time with​, take care to be sure that the mastermind group you join is in alignment with your core beliefs and values. This makes it easier for all as you know you'll not be getting advice that conflicts with your values. On the flip side, It's good to recognize that sometimes our beliefs can be legitimately challenged, and it is possible we've had faulty beliefs. The right mastermind group will challenge your beliefs with kindness and be willing to disagree in love while still maintaining a healthy and safe atmosphere. What is the proposed commitment? Sometimes masterminds pop up for the purpose of accountability for a short period of time, for instance, in the case of an 8 week course or a summer class. Know in advance if this is a short-term or long-term commitment. Some of the best masterminds maintain the same core group of people for 20 years or more, becoming close-knit friends and supporting each other in all areas of life. If that's the kind of community you desire, be sure to ask in advance what the vision is for the community. Also in terms of payments – you will have more skin in the game from a mastermind you are paying to participate in. Many, like the Blog Well Mastermind, pay for their annual or bi annual member-only retreats out of the membership dues. If you can commit to joining for a year and putting in your all for a year minimum, I believe you will have the best results. Someone who has an “I'll see how it goes month by month” attitude is not fully invested in their own success or the community's. If you don't have a mastermind group, consider joining The Blog Connection or our higher level Blog Well Mastermind. If you have ever been a part of a mastermind group, please join us on facebook to share your experience and whether or not you feel they are valuable. Also, do you have any tips to help others who may be looking to join a mastermind group find one?